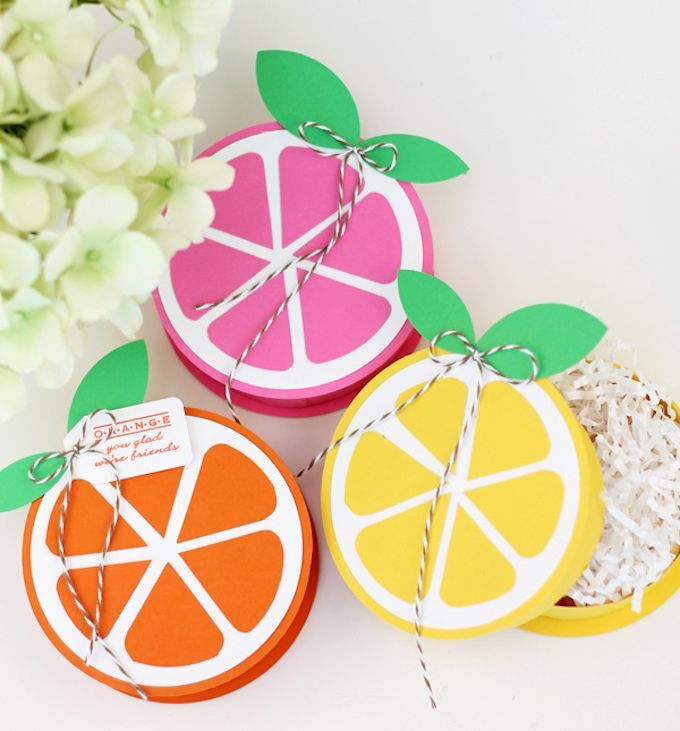 These bright and fun citrus paper gift boxes by Damask Love are adorable. Since there is no template, you could make them any size you want. Amber used a circle cutter and a circle punch to create those perfect little layered circles, but you could also just use something round to trace a circle and cut it out by hand with scissors (although it would take a lot longer). These would be perfect favor boxes for a lemonade (or pink lemonade) themed party. I think a little green lime would also be a cute addition to the set. What’s genius about these paper gift boxes is the way that they are made. You could use this technique to create personalized little boxes with lids in almost any shape you could imagine.